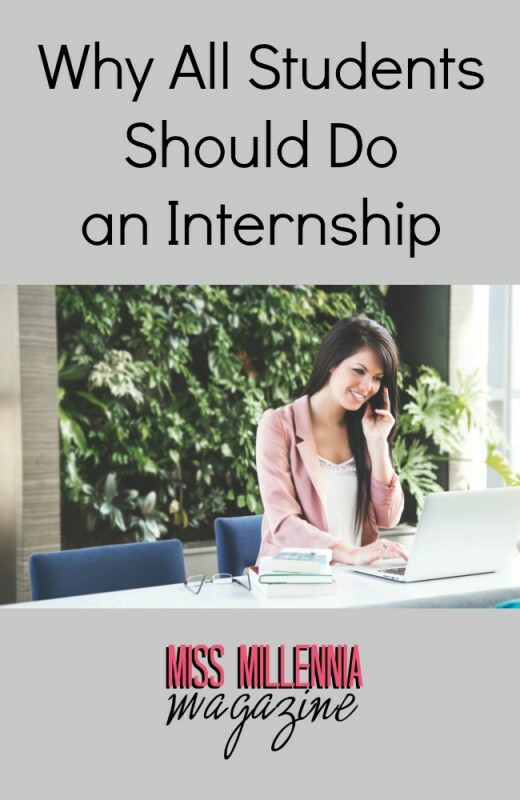 If you’ve read my article on making the most of your internship, you’ll know that I’m biased in that I’ve had as positive of an internship experience as you can get. My bosses have been unbelievably supportive of my professional and personal goals, I’ve been able to do meaningful work, and I can safely say that I am considering a career as an editor or in the communications/publishing field, as well as a few other options. Now, as a college senior, I seem to be at least a little calmer than some of my classmates. At least I have options! Still, there’s been increasing debate on the issue of interns: whether they are paid fairly, when labor laws apply, and the controversy regarding unpaid interns. Certainly there are companies that can and will take advantage of their interns, and you should be well aware of the warning signs. Still, if the experience feels right/legal/fair, I would highly suggest it. The ability to acquire new skills and meet potentially helpful mentors is reason enough to spend even one month out of your summer at an internship. Let’s consider the not-completely-outrageous idea that you aren’t a huge fan of your major, but you’re in too deep. Or, perhaps you like your major and you’d like to incorporate it into another area of interest. Whatever the reason, gaining field experience in a professional setting (even if it’s online through a remote position) will show potential employers that you have taken steps to build those new skills, even if you don’t have another Bachelor’s degree. You know that handy “skills” section on your resume? You might be able to add something like a new computer program to that list. Maybe, for example, you learned HTML while working on WordPress (or maybe you had never worked with WordPress before!). Perhaps you had to give presentations at meetings and now you’ve developed your public speaking skills. Let future employers know that you’ve got plenty to offer! One of the main draws to an internship is forming lasting, potentially helpful, connections with employers, co-workers, or anyone you meet in between. For those that have difficulty forming friendly rapports with their employers (I’ve got your backs, fellow introverts), you can still maintain that connection through LinkedIn, or the occasional email or extra project to solidify your good standing. As they say, everybody knows somebody. Even if you aren’t planning on remaining at that first company forever, your connections may have friends in other capacities that may be willing or able to help you pursue your career goals. American University aptly notes the competitive nature of the present-day job market. “Real-world experience” is a buzz phrase that holds a great deal of weight during the job application and recruitment process. Some students might believe their undergraduate experience to be the only qualification they need, but an understanding (if only a little bit) of a professional setting, or the way in which a team functions to accomplish projects, can demonstrate an advanced knowledge that can be valuable to their company. In the end, for them, it’s about assembling the best team possible to help them achieve their mission, whatever that may be. Opportunities within your organization may even give you opportunity to obtain more experience than just an internship. For example, when the opportunity arose at Miss Millennia, I applied for the position of Lead Editor, and have since progressed to Editorial Manager. Now, in addition to an understanding of online journalism and editorial teamwork, I have the added bonus of managerial experience. Though this isn’t exactly the norm at your average internship (I’ll stop gushing about mine, I promise), you never know what kinds of openings will arise. Who knows? That higher-level position might just have your name on it. Did I mention that when I was offered that Lead Editor position, I wasn’t sure if I even wanted to do it? How I was uncertain as to whether I could take it on and be in charge of a team? Sure, I thought I could do a good job, but did I really think I was cut out for it? My boss sure thought so. Today, I don’t hesitate to showcase my leadership abilities, especially with projects about which I am passionate. Positive change can come from one person leading many, or even one person doing great work on their own. You may not even realize that you have it in you to take charge, lead a project, or use a new skill to spearhead something meaningful. The great thing about internships is that you can use that time to make mistakes in a low-risk space, and use your resources to help you learn. That way, you can feel self-assured moving into a real work environment. Whatever your reason to take that internship, you’re probably adding something useful and exciting to your resume. Having those kinds of experiences will keep you nice and prepped for job recruitment season. Happy hunting!